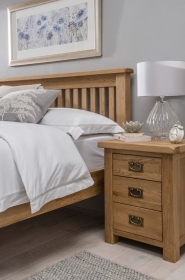 The SO range: Traditional, country, oak furniture finished with a brushed oil. The SO range offers a slice of country living which is reminiscent of a traditional style. 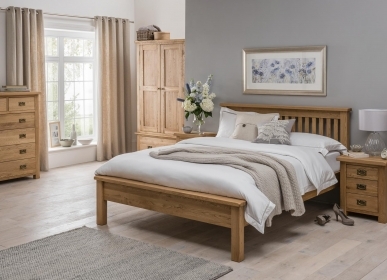 Finished by hand with a brushed oil, the effect is one of warmth and individual character as the natural grain of the oak is gently emphasised. 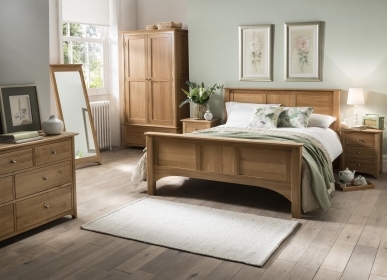 The antique style, brass effect, drop handles add to the traditional feel of the furniture and compliment the warmth of the oak. Corners are delicately rounded in keeping with the softness of the country style. There are bedroom, dining, and living pieces available in the SO range. 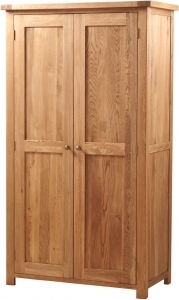 The warmth of the brushed oil finish enhances the individual character of the oak.